Composites Busch is part of the Busch group of companies, a leading manufacturer of vacuum pumps and systems for industry worldwide. 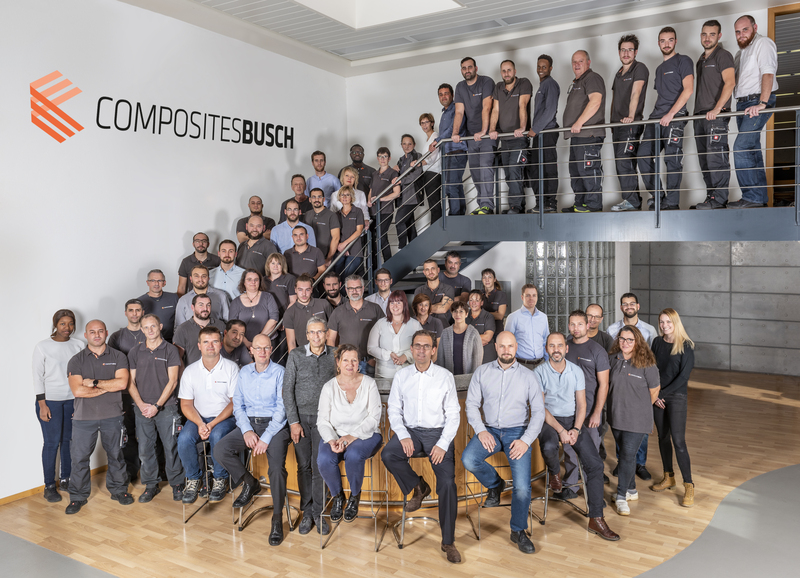 Founded in 1988, Composites Busch is based in Porrentruy, Switzerland, where we employ over 70 engineers, technicians and other skilled specialists to create customized, high performance composite materials, components and finished products for a variety of industry sectors. Key areas of focus are composite solutions for medical technology and medical devices, mechanical industry, luxury and lifestyle, transport and aerospace as well as 3D additive manufacturing. Quality management and traceability are cornerstones of our business. The high quality of our materials and components for medical technology supports our customers in meeting stringent regulatory and safety standards, such as those laid down by the US Food and Drug Administration (FDA), the European Medicines Agency (EMA) and other authorities. Our materials and components for luxury goods are warm to touch and open up new visions and realities in creative design. Prestige, uniqueness and new creative force are inherent to the design look of luxury goods crafted from composites. Our state-of-the-art design, prototyping and manufacturing facility in Porrentruy is certified according to ISO 9001 quality management system, as well as ISO 13485 for the design and manufacture of medical devices. Composites Busch stands for expertly crafted, high quality materials, components and finished products you can rely on. You wish to get more information, ask for a quotation or pass an order?